The Advanced Analysis Center, NARO (NAAC) provides essential analytical technologies and data management system to support initiatives on agriculture, food and the environment. 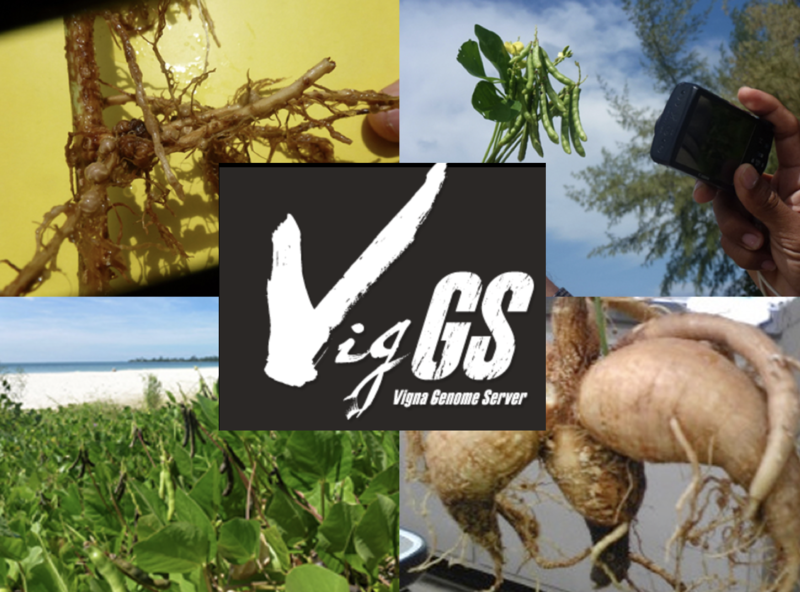 The Vigna Genome Server (VigGS) is a genomics database for the genus Vigna which consists of legume crops such as cowpea, mungbean, and azuki bean in addition to over 100 wild species. One of the most attractive features of the genus Vigna is the great adaptability of the wild species to severe environmental conditions including high salinity, acid or alkaline soil, and drought. By figuring out the mechanisms of how they adapt to such environments, it would be possible to generate novel crops tolerant to the stress conditions. Most Vigna species have diploid, relatively small (550Mb) genome, and are capable of interspecific crosses. This means that comparative genetics and genomics studies can be easily performed, making Vigna species the best material to understand environmental adaptation of higher plants. We sequenced the genome of azuki bean (V. angularis) using single-molecule real-time (SMRT) sequencing technology. The reconstructed pseudomolecules covered 85.6% of the estimated genome size and constructed the Vigna Genome Server ('VigGS'), which is based on a high quality, annotated azuki bean reference genome sequence. Currently genome sequencing of 13 wild Vigna species is in progress. VigGS can be accessed here.